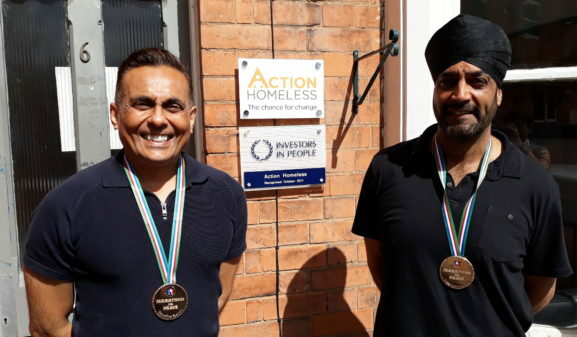 We guarantee that 100% of the money you raise for Action Homeless is spent directly on supporting people affected by homelessness in Leicester and Leicestershire. With this in mind, you can be certain that all the effort and enthusiasm you put into fundraising will be worth it and will mean that someone else can be given a chance for change. Join our amazing team of skydivers, bakers, runners, readers and collectors. Just contact James on 0116 2211851 or jamesriviere@actionhomeless.org.uk to find out how we can help you to support us.